Sign-up using the form or call us at 970-229-9993 to make your appointment. Dr. Stephen B. Asquith, D. C. is your Chiropractor in Fort Collins. We have moved to a new location to additionally treat the Southern Fort Collins and Loveland area well our regular patients in the Central Fort Collins region. Call us today at 970-229-9993. CHIROPRACTIC WORKS in Fort Collins, CO DR. STEPHEN B. ASQUITH, DC at CHIROPRACTIC WORKS Fort Collins is one of the best Chiropractors in the FORT COLLINS area specializing in Chiropractic care and wellness. Dr. STEPHEN B. ASQUITH is a Chiropractor committed to providing pain relief for many symptoms and conditions so that you can have a higher quality of life. Don't just take our word for it though; visit our testimonials page to see what our patients have to say. At our Fort Collins Chiropractic office you will receive the best care through the use of modern Chiropractic/ Chiropractor techniques and technology. DR. STEPHEN B. ASQUITH has a genuine concern for your well-being and health! Call us today and we can develop a health plan specific for you. In addition, Dr. Asquith has over twenty five years experience with Acupuncture. He has quite a variety of experience over the years including Severe Low Back cases including Herniated Discs & Sciatica, Arthritic Pain, Extremity Pain including knees, elbows & shoulders; foot pain; Neck Pain as well as some other issues. He treats All types of Pain as well as Allergies, Fatigue, Anxiety/ Stress, Depression, Digestive Problems including Gall Stones, Bells Palsy, female issues including menstrual pain, difficult pregnancy and Insomnia. If you have any questions, give us a call & we will let you know if we can be of help. Dr. Asquith also treats a lot of Patients that have experienced an Automobile Accident. He has been helping injured accident victims for over Twenty- Five Years. Call us to come in and discuss your situation. If you are new to our website, please browse around to learn about our practice and to discover the wonders of Chiropractic, Acupuncture and wellness. Click on the "email us" link below to ask us a question or to send us feedback. Use the "send to friend" link to share our health information with your friends so that you can begin a journey to wellness together! In addition we try to not turn away patients. Our goal is to get you well & out of pain. If affordability is a problem discuss it with us & we will try to work out a plan for you! To receive free wellness and health articles subscribe to our bi-weekly newsletter. If you are already a newsletter subscriber, please explore the member wellness section of our website for animated exercise videos, wellness articles, chiropractic resources, and health facts specifically targeted to your wellness needs and interests by Dr. Stephen B. Asquith. 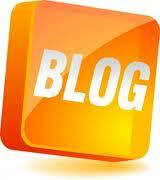 check out my Current Blog Posts. "Dr Asquith takes the time to understand my symptom, most notably my neck pain. After 2 adjustments I felt much better. I would recommend him to my friends and family."